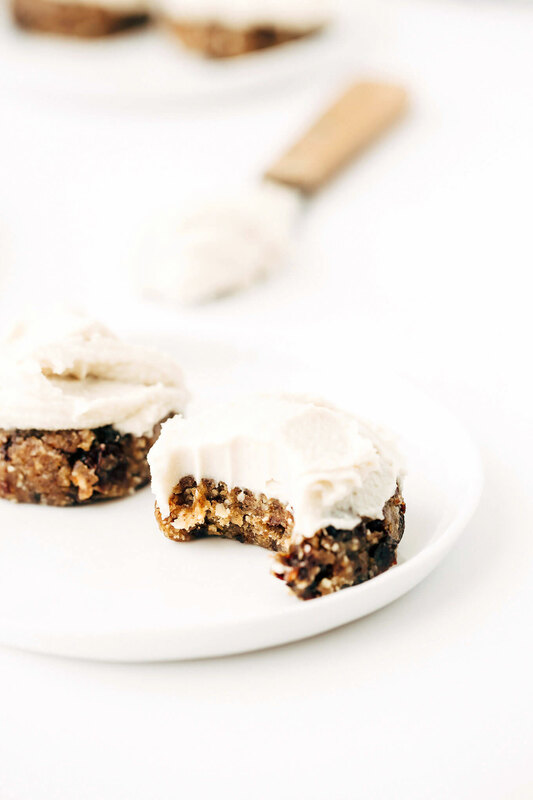 These gluten-free, almost raw vegan oatmeal raisin cookies with vanilla cashew buttercream are downright dreamy. 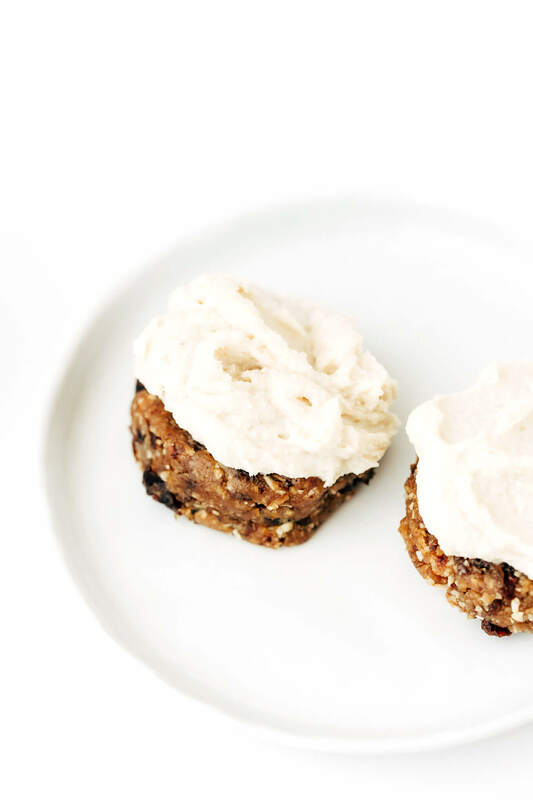 A simple, nearly raw oatmeal cookie base is made with a combination of walnuts, oats, dates, and raisins. 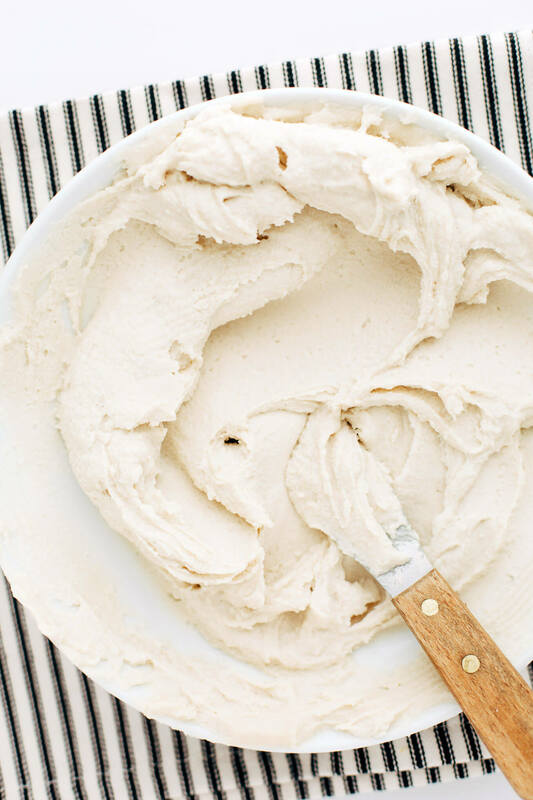 This naturally sweetened dough is formed into cookies and slathered with an ultra thick vanilla cashew buttercream. 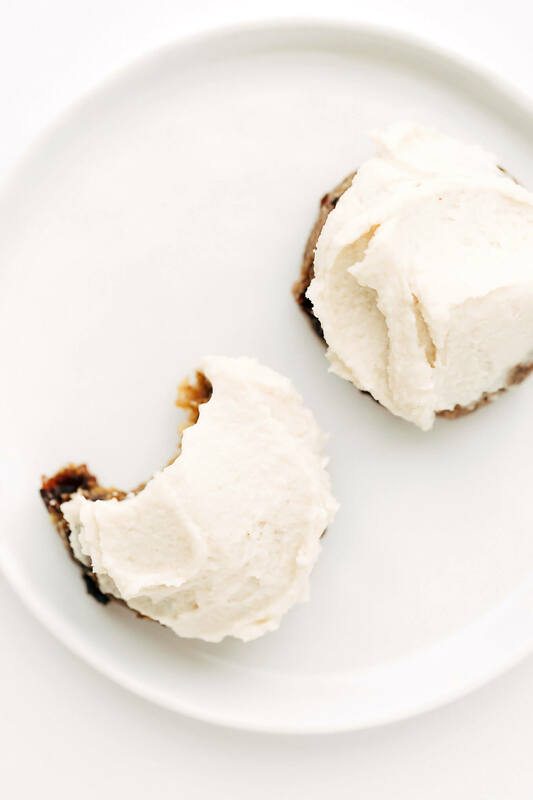 The chewy oatmeal raisin cookie base pairs perfectly with the sweet buttercream icing, making this recipe one for the books. This post is sponsored by Silk. All thoughts and opinions are my own. I’ve mentioned this before, but I come from a long line of dessert lovers. My mouth is lined with sweet teeth, and a dessert-free day is a very rare occurrence. Even my great grandma Murphy, who lived to the grand age of 96 (and shoveled the deep Chicago snow out of her own driveway nearly as long), enjoyed oodles of sweet treats right up until the very end. And my goodness was the woman a firecracker. Rumor has it that as she blew out the candles on her 96th birthday cake, she joyfully proclaimed that her birthday wish was to die, because she’d done everything she’d wanted to do in her lifetime (she passed just a few weeks later). Some genes skip a generation, but that doesn’t appear to be the case with dessert loving. It’s really got a hold on our family lineage. Given its strong roots, sweet things are a much-awaited staple at holidays and family gatherings. From cakes to truffles to pies to crumbles to ice cream to crisps to cookies, there’s a sweet for every craving. That said, there are a few tried-and-true favorites that have made repeat appearances throughout the years. One of the all-time favorites being my uncle’s oatmeal raisin cookies with vanilla buttercream. If you have my cookbook, this is the same uncle that inspired the mini banoffee pies on page 253. 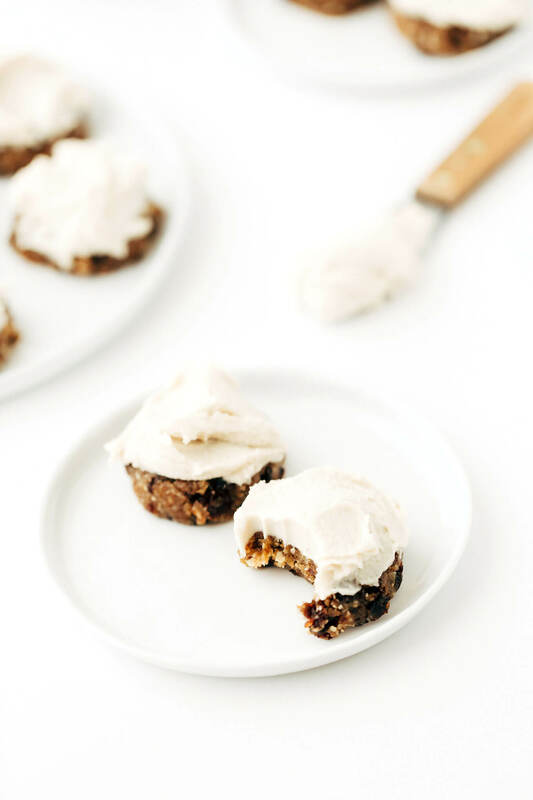 My uncle swears these cookies are nothing fancy—merely the oatmeal raisin cookie recipe off the back of the Quaker Oats tub—yet they become something so darn special with a thick slathering of buttercream. I’ve veganized the original version of his cookies a few times but haven’t loved the results. Perhaps it’s the vegan buttery spread (not my favorite) or maybe my sweet teeth have gotten a little less sweet over the years, but a straight-up vegan conversion of those cookies just doesn’t do it for me. 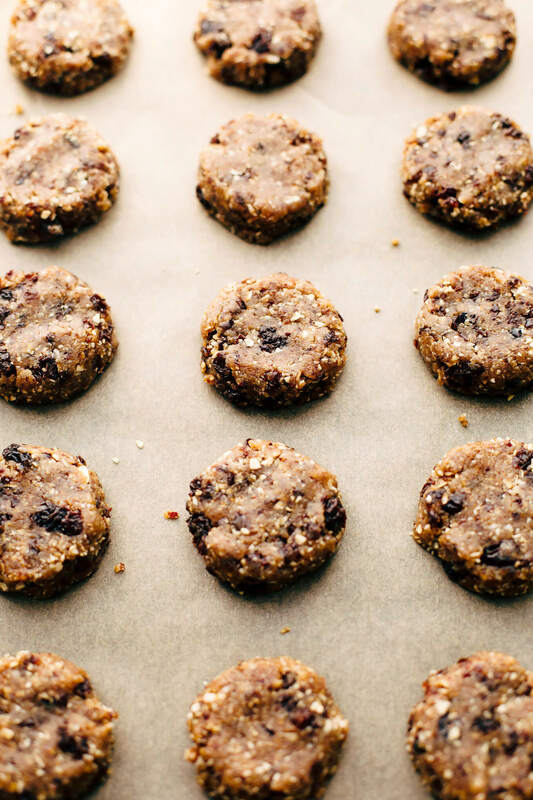 So, for years, I’ve been wanting to create a version of those decadent oatmeal raisin cookies that keeps things a little closer to the earth and a bit more natural. And well, I guess you know where I’m going with this, but the day has come, and these cookies are even more amazing than their classic Quaker Oats predecessors. 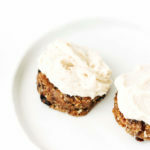 To make these almost raw vegan oatmeal raisin cookies with vanilla cashew buttercream, you’ll start by making the icing. The vanilla cashew buttercream is a vanilla-forward, non-tangy version of the icing in this blondie recipe and this cake recipe. It’s naturally sweetened and made with a small handful of plant-based goodies. 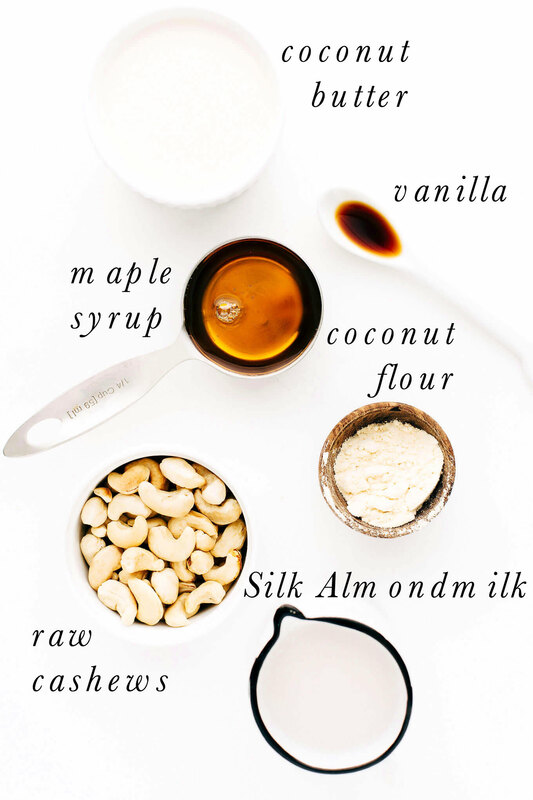 To make it, you’ll add raw cashews and Silk Unsweetened Almondmilk to a high-speed blender. Blend, blend, blend until it becomes a super thick and very smooth cream. Then, add the remaining ingredients—melted coconut butter, pure maple syrup, coconut flour (naturally thickens the icing), vanilla, and sea salt. Give it all another blend until smooth. Finally, transfer the icing, which will be a bit on the runny side, to a shallow bowl, and chill in the freezer for 30 minutes or more. 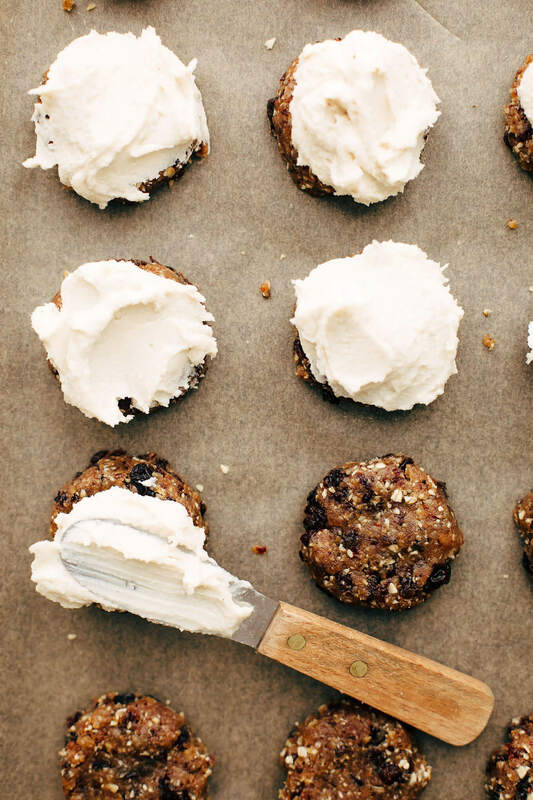 While the buttercream chills, you’ll get to work on the cookies. 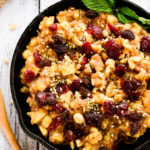 Add raw walnuts and rolled oats to a food processor and process for just 30 seconds to a minute, or until ground into a coarse meal. Then, add pitted medjool dates, vanilla, and sea salt, and pulse until the mixture forms small, sticky clumps of dough. Finally, add a heap of soft, chewy raisins and pulse several times to incorporate. Scoop out small mounds of the dough and drop on to a lined baking tray. The cookies will keep in the refrigerator for up to 4 days but can also be frozen for up to two weeks. These oatmeal raisin cookies make my heart happy. I hope they make yours happy, too! Add the soaked cashews and 1/2 cup of the almond milk to a high-speed blender, and blend on high until smooth, stopping to scrape down the sides as often as needed. If absolutely necessary, add as much of the remaining almond milk, 1 tablespoon at a time, as needed to blend the cashews until smooth. The texture should resemble a very thick cream. Add the remaining ingredients and blend for 30 seconds, or until smooth, stopping to scrape down the sides as needed. Scoop the icing into a shallow bowl and chill in the freezer for at least 30 minutes to thicken. If you have the time, I recommend chilling for up to 1 hour and vigorously whisking every 10 to 15 minutes (to prevent freezing) to thicken to a fluffy, easily spreadable texture. Add the walnuts and rolled oats to a food processor. Process for 1 minute, or until ground into a coarse meal. Add the dates, vanilla, and sea salt. Pulse several times and then process until the dates are thoroughly chopped and the mixture begins to form small, moist clumps. If it's not coming together, add the filtered water and process again. 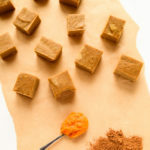 The mixture should be slightly damp and sticky enough to easily hold together when pressed yet able to crumble fairly easily. 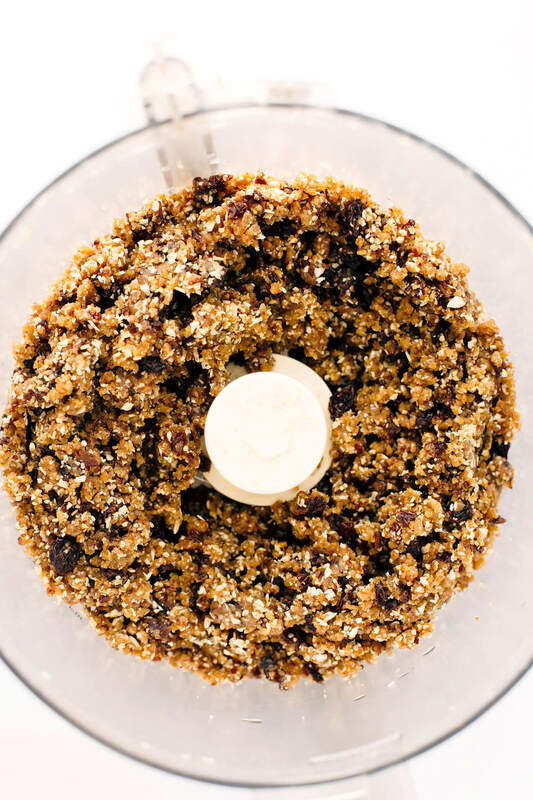 If needed, add more pitted dates, one at a time, until the mixture begins to gather on one side of the food processor. Add the raisins and pulse several times to incorporate and chop into the cookie dough. The dough should appear crumbly yet easily stick together when pressed between your fingers. Line a small baking pan with parchment paper. Use a cookie scoop (or small ice cream scoop) to scoop out and compact heaping 1 1/2 tablespoon mounds. Drop on the lined pan and repeat. Use your fingers to press and compact the balls into round cookies. Freeze for 15 minutes to set. Store the cookies, frosted or unfrosted, in the refrigerator for up to 4 days or in the freezer for up to 2 weeks. *I find it easiest to make a fresh batch of homemade coconut butter and simply measure off 1/2 cup while it's still in a liquid state. However, store-bought coconut butter will yield a smoother icing because it's typically much smoother than homemade coconut butter. That said, store-bought coconut butter can be tricky to melt because it scorches and burns easily which leads to a seized, hardened texture. It's also WAY expensive (i.e., $14) compared to homemade, which usually only costs $2–$4 to make. 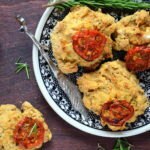 **Do not substitute the coconut flour. Coconut flour is highly absorbent, much more so than any other flour, which is why it's perfect for thickening this buttercream. ***You'll have quite a bit of leftover buttercream icing (about 1/3 to 1/2 of the recipe, depending on how generously you frost). I've tried halving the recipe, but it becomes finicky and fussy while blending, so I don't recommend going that route. Fortunately, it freezes well and can be used for a future batch of cookies. 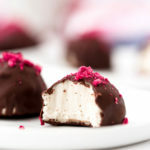 Simply scoop any leftover buttercream into an airtight container and freeze for up to 1 month. I am pleased to stumble across this one while coincidentally eating one of your peanut butter & jelly energy cookies (btw – YUM). Two questions: if I make the buttercream ahead – not way ahead, just the day before – do you think I should freeze it? I’m thinking it would be alright in the fridge overnight. Other, more important question: when I made the PB&J cookies, I ended up adding a LOT more dates (maybe 5 or 6?) & dried strawberries to get it to come together, and even then, it still didn’t seem to be behaving quite like the mixture in your photos. Since this seems like a similar idea and I might encounter the same problem a) do you know what’s going on with that?, and b) would adding extra water, beyond the 1 tbsp, also be beneficial? If you make the buttercream a day ahead, I think refrigerating it and skipping the freezing/whisking will be just fine. As far as what’s going on with the stickiness factor, not all dates are created equal. Assuming you’re using Medjool dates (and not standard dates, which won’t work well in either recipe—aren’t sticky enough), they could simply be a bit older/drier/less sticky than the dates I regularly use. If your dates are in fact gooey/sticky, then it could simply be that you just need to process the mixture longer. The longer you process, the more finely ground/stickier the dates will become and the warmer/softer they’ll become from the heat of the food processor. Oftentimes, when I first start processing, I immediately begin to think that I don’t have enough dates and will need to add more, but then with a couple more minutes of processing, the mixture pulls together as expected. No matter the reason, the great thing about no-bake treats like the pb+j cookies and this recipe is that they’re much more forgiving than more traditional baked goods and if you have to add more dates, it’s not the end of the world! Hope you enjoy the cookies! I usually use Natural Delights so they’re pretty soft and gooey (most of the time – I’ve had a couple packages on the drier side but never DRY dry). 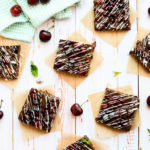 I’m hoping to make these this weekend, so I will give the extra processing a whirl if necessary – I just get a bit antsy about OVER-processing. Anyway, I’m sure they’ll be deliciousss. These cookies are amazing!! 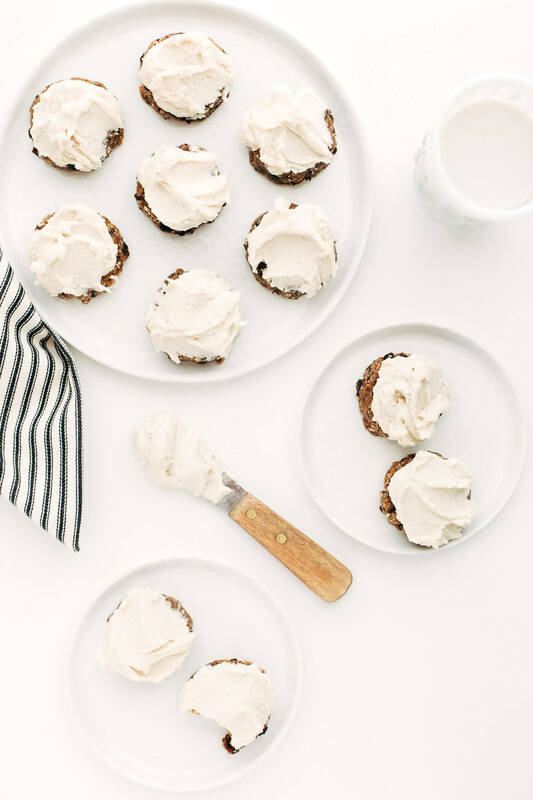 The buttercream frosting is a new staple – so rich and creamy, none of the non-vegan people I served this to had any idea! 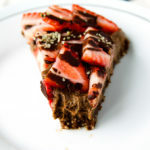 Ashley – you continually amaze me with your creative plant-based recipes! Not sure where I would turn without your blog!! Kate, this comment warms my heart and makes me smile! Thank you for taking the time to come back and share such kind and supportive words. It really means so much and is incredibly encouraging. Thrilled to hear you’re enjoying these cookies!